I can’t recall a video I’ve thought of making for so long, but didn’t. Better late than never. I’m sharing some things here that I’ve never shared before. After you watch, I invite you to look around your life, physically, mentally, emotionally… and see what you are ready to get rid of. 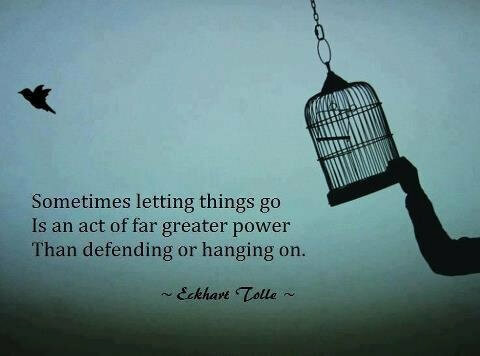 What have you been holding on to, that you know holds you back? Might today be the day to say goodbye to that, forever? intense Andy but so real and authentic… I want to let go of the me that doesn’t fall in love with the person who is in love with me… the person who can never find her partner or make a commitment. The person who won’t commit really is what I want to get rid of… thanks for all you are doing — you are inspiring! I love you, regardless of what you hold on to or release. thanks Andy… Love the FU after the smashing and especially the emotional release and shaking afterwards. I never thought of the physical shaking as release of energy before. love this message. you rock my friend. I thought I was going to be swearing up a storm while smashing it, but it was mostly quiet and solemn. Thanks for rocking with me. Thank you for sharing Andy! Great video! I am having a hard time holding back the tears! What an inspiration! Let them go, brother. Thank you! Thankyou for sharing! That took real courage. I am proud of you.You are so worthy of this life and all the gifts you have! I am glad you are here for you are my teacher. I just got my Akashic Record Practitioner certificate through Linda Howe. Are you offering Advanced training ? If yes when? I would like ( am prompted ) to Advance and help others. Thanks for your kind words, Kathy, means a lot to me. Thanks, Paula. Great to hear from you. Keep taking action! Wow! Such a powerful video. Thank you for sharing that vulnerable moment of letting go with us so others can see the real courage it takes, even with the shakiness, to let go of an old identity and things that reflect that to us. Leave a comment for: "Holding On To What Holds Us Back"